I must apologize for my absence this month. I started a new full time job and had family visiting for the holidays so I fell behind a little. I promise to get back to the regularly scheduled posts very soon! 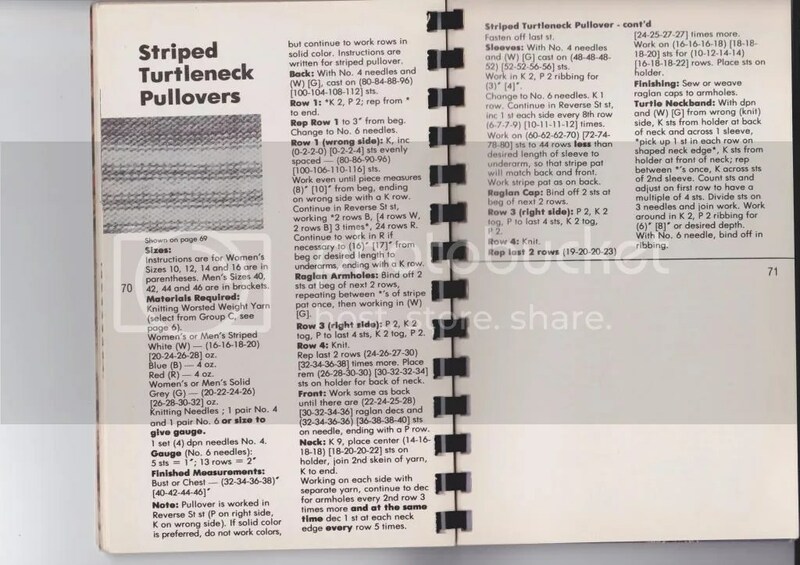 This week I give you the oh-so-ski-bunny-chic striped turtleneck pullover! Straight out of 1978 from Caron. His and hers sizing too! 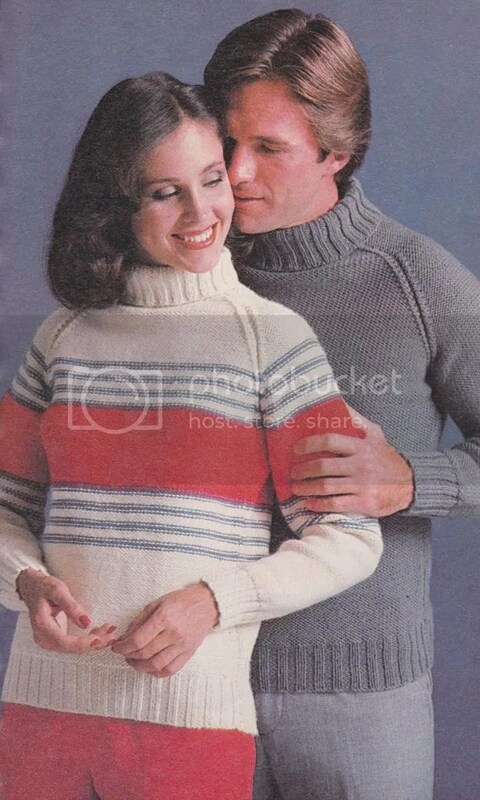 This entry was posted in knitting pattern and tagged 1970s, sweater. Bookmark the permalink.